Ali was also instrumental in stitching the BSP-JDS alliance for the assembly polls. And now, amicably with consent from Deve Gowda, he is on deputation to BSP and contesting 2019 the election from UP. Danish Ali being garlanded by party workers. 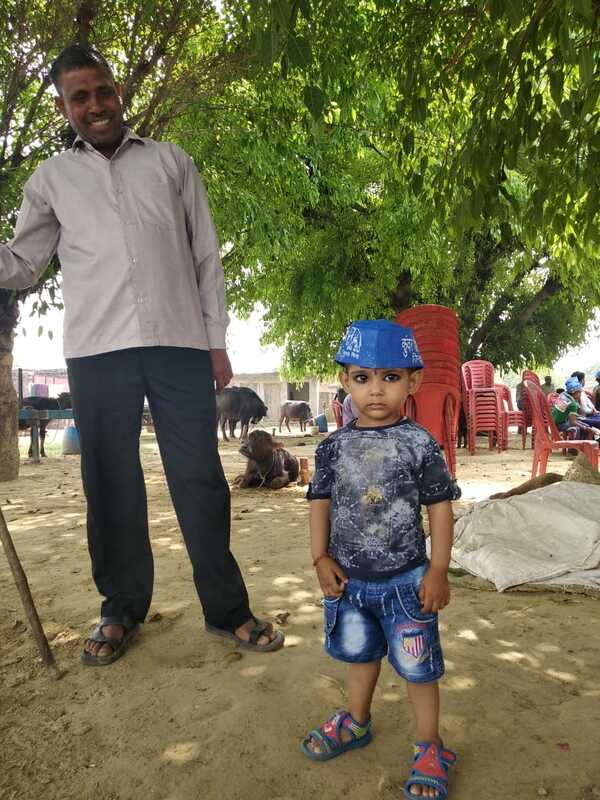 Amroha: Sohram Singh with other villagers in Didoli have been animatedly discussing how Danish Ali managed to get a BSP ticket for Amroha Lok Sabha seat. In a predominantly Jatav village with more than 7000 voters, Singh says "Akhilesh ji spoke to Behen Mayawati and that is when his gathbandhan decided to field Ali on the BSP symbol”. Raj Bahadur, a Samajwadi Party worker, however, seeks to clarify that one "Swamy ji from the south" has helped Danish Ali bag the joint opposition candidature from Amroha. 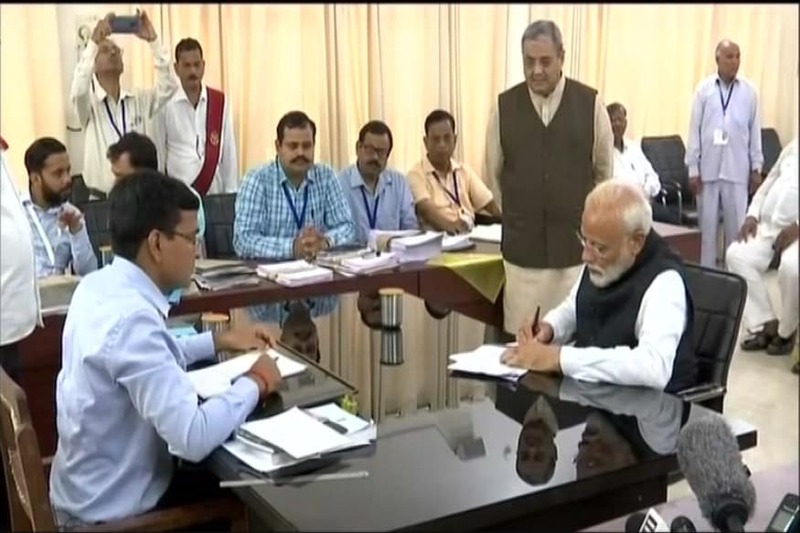 Amroha is a Lok Sabha constituency comprising five assembly segments that fall on the either side of National Highway 24, which connects Delhi and Bareilly. Danish Ali's ancestral village is in one of the segments – Garmukteshwar – which is just an hour’s drive from the national capital. Till a fortnight ago, however, his face would have been more familiar in Gulbarga than his own home town. A close aide of Karnataka Chief Minister HD Kumaraswamy and former PM Deve Gowda, he was Janata Dal Secular's interface and interlocutor in Delhi and outside. He was in the famous frame with Rahul Gandhi and Kumaraswamy when the Congress-JD(S) tie-up was announced after the assembly polls last year. He was also instrumental in stitching the BSP-JDS alliance for the assembly polls. And now, amicably with consent from HD Deve Gowda, Danish Ali is on deputation to BSP and contesting 2019 the election from UP. "I'm not an outsider. I'm here to work for the people. Garmukteshwar is part of Hapur district but comes in Amroha LS constituency," he says. Five kilometres from Didoli, local strongman and SP leader Mehboob Ali is addressing party workers. He is seeking to allay any apprehension that the gathbandhan candidate is an "outsider". 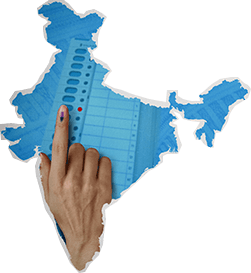 In the last three elections Amroha has elected MPs who were not seen to be rooted in the local politics. "2022 elections mein mujse badla le lena. Mehboob Ali yahi rahega. Lekin is baar vote gathbandhan ko de dena (Take revenge on me in the 2022 elections. Mehboob Ali will stay here. 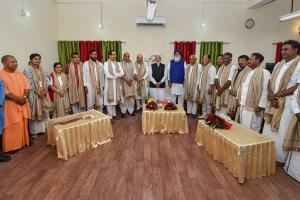 But vote for the gathbandhan this time around)," he urges the gathering. Dalits and Muslims form a formidable social and electoral block in Amroha. A division in the two communities tends to help the BJP. With SP, BSP and RLD having joined hands, sitting MP Kanwar Singh Tanwar of the BJP faces a stiff challenge from Gathbandhan's Danish Ali in 2019. Amroha also has a sizeable Jat population. Congress having fielded a Jat candidate, the community may get split between all three major players. For Danish Ali and BSP, the key to success here is Dalit-Muslim or DM factor. 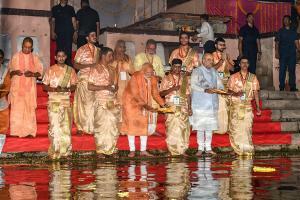 In his speeches, he focusses on the common thread that can bind the two communities - constitutional guarantee to Scheduled Castes and Minorities. "Is election se hamara mustakbil juda hua hai. There is a conspiracy to change the constitution," is the common refrain in his speeches. Who would have thought a month back, Danish Ali would make his maiden bid to reach Lok Sabha from Amroha on BSP ticket. In politics, as they say, so much is driven by circumstances and equations.